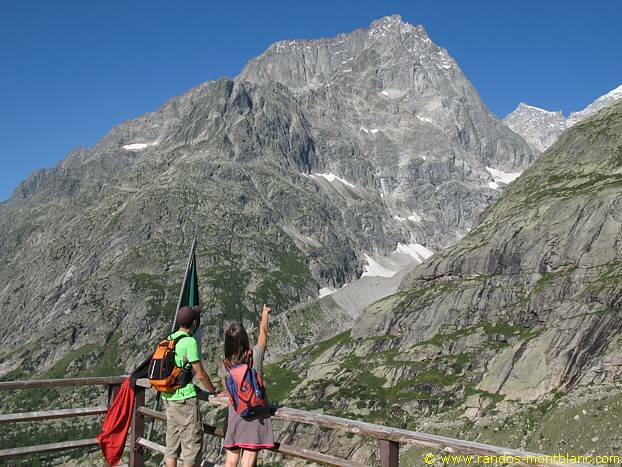 Very appreciated by the hikers around Mont Blanc, the Val Ferret impresses by the incredible view on the Italian side of the Mont Blanc Massif. 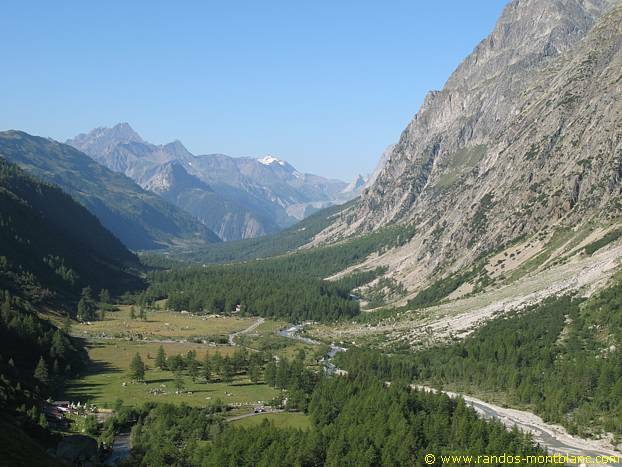 Tête de Ferret, located at the end of the Val Ferret, symbolizes the border between Switzerland and the Aosta Valley in Italy. 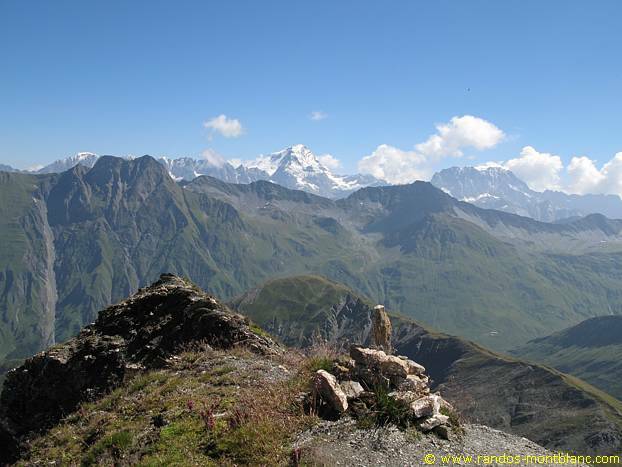 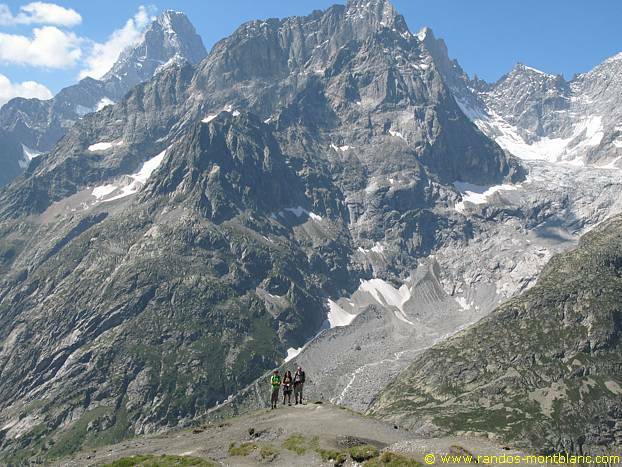 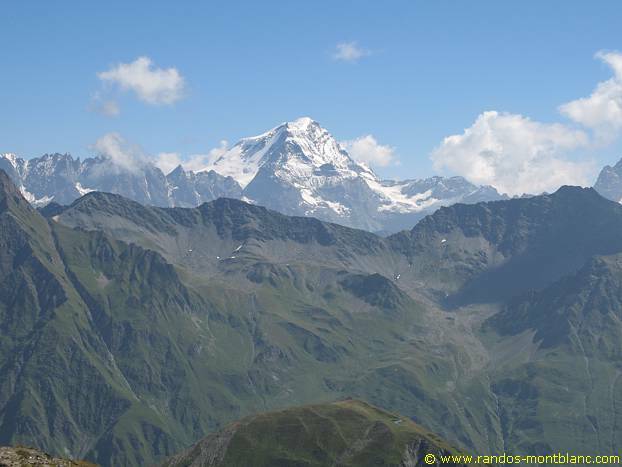 Like all the summits of the Val Ferret, the panorama offered remains unforgettable, but the Grand Col and Tête de Ferret allow to widen the field of vision and to observe the Swiss mountains such as Grand Combin, Mont Vélan, as well as the Valley of Fouly. 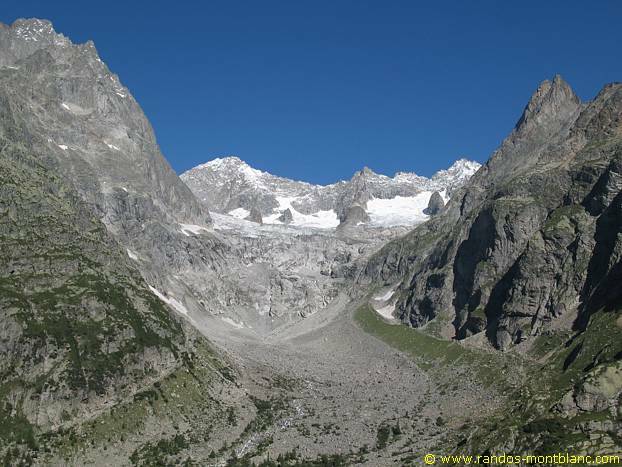 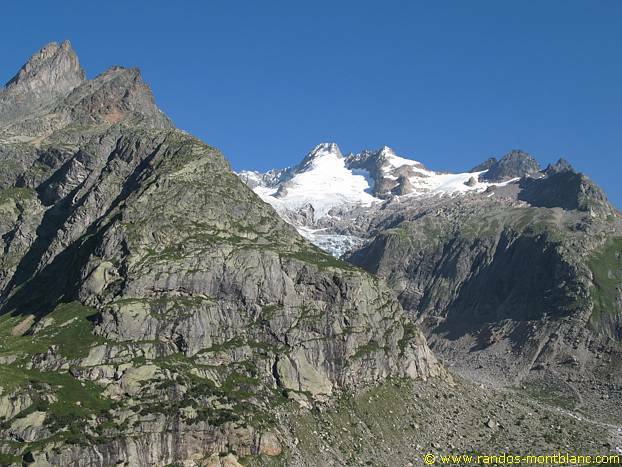 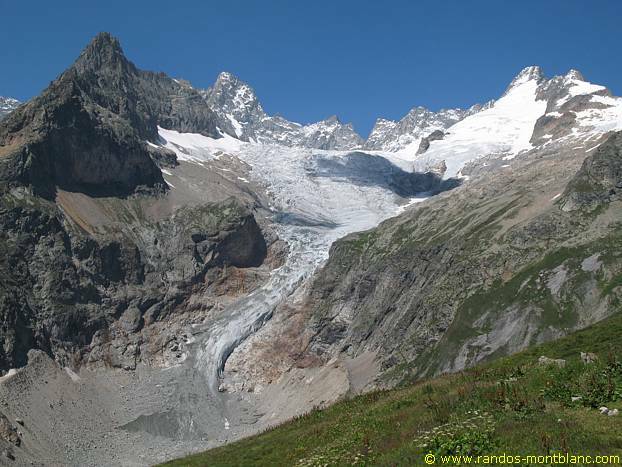 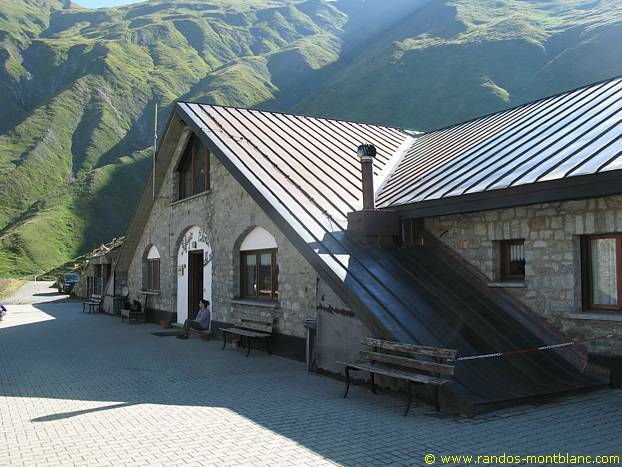 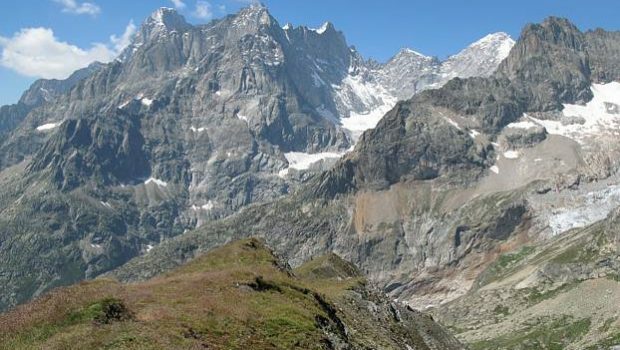 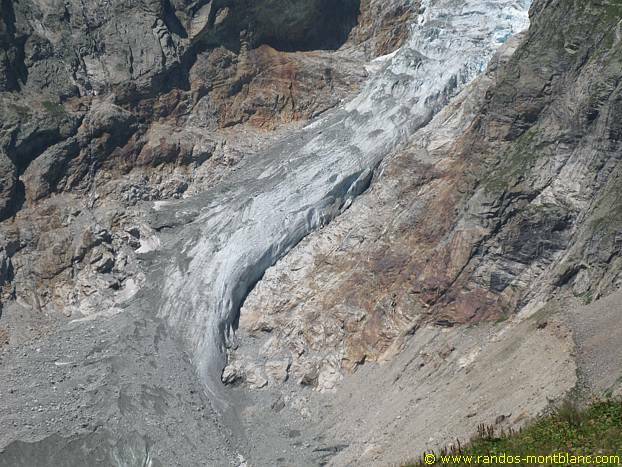 Without difficulty, the itinerary first reaches the Elena Refuge perched in front of the Glacier de Pré de Bar, then rises more frankly towards the Grand Col Ferret in the Alp de Pré de Bar, under the Arête des Éconduits. 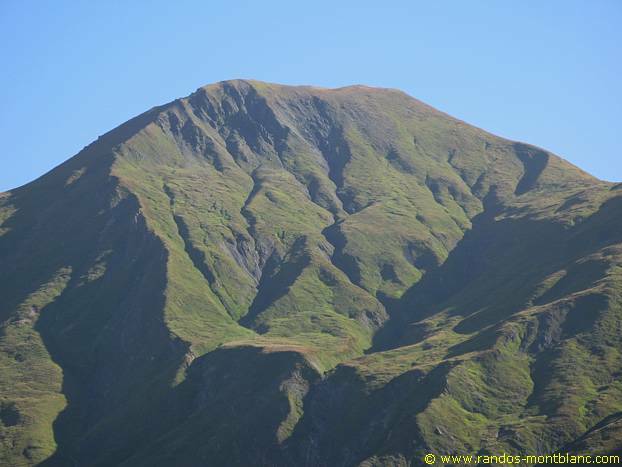 The last ascent to the peak is, however, steeper, but the outlook at the top will fulfill exhausted hikers. 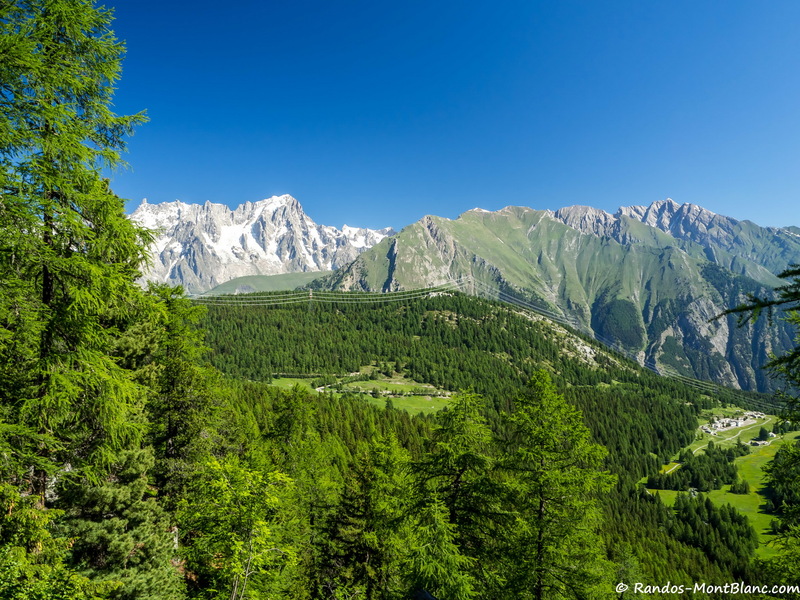 At the end of the Mont Blanc Tunnel on the Italian side, turn left at the first switchback in the direction of Val Ferret. 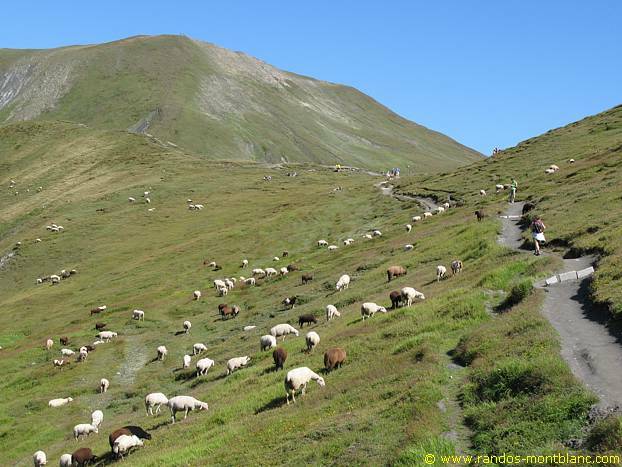 Follow the road on a dozen kilometers to reach the hamlet of Arnuva and its refuge on the right. 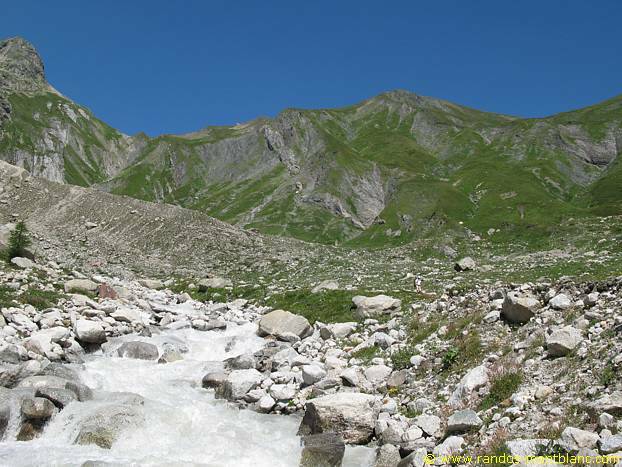 Pass the small bridge and continue on the road for about 400 meters to park in a little parking lot in the forest where start many routes marked with yellow signs. 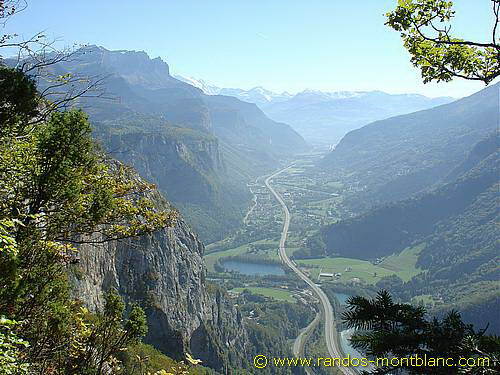 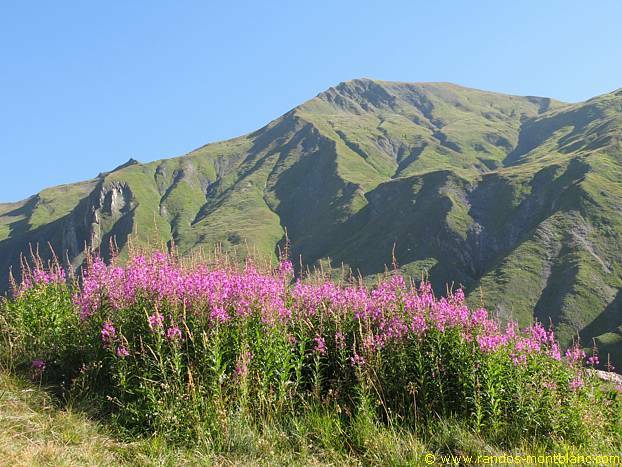 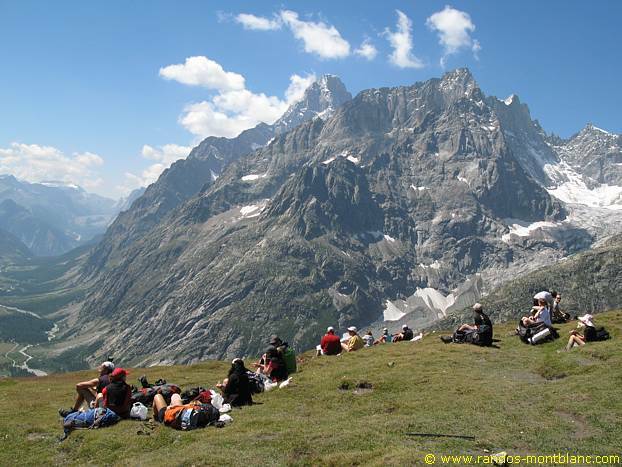 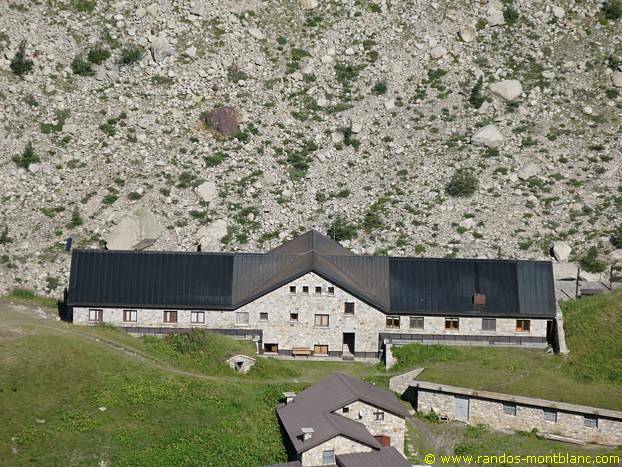 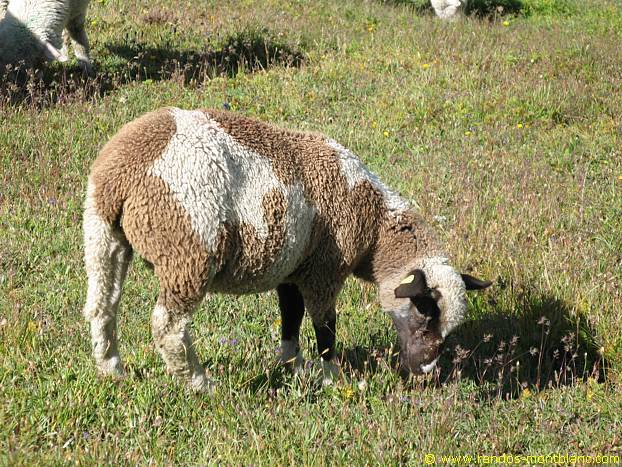 From the small car park of the Arnuva, take the trail in the direction of the Grand Col Ferret which climbs the mountain pasture. 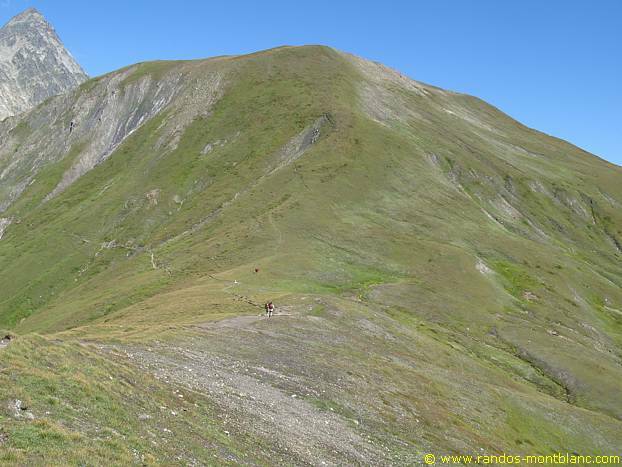 Not very steep and straight enough, this pathway wins in fifty minutes the Elena Refuge. 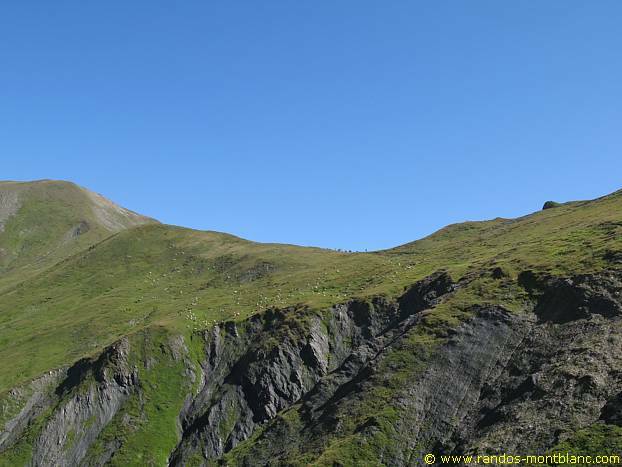 From the refuge, continue on the road that goes to the right and rising more frankly up to a trough after some switchbacks. 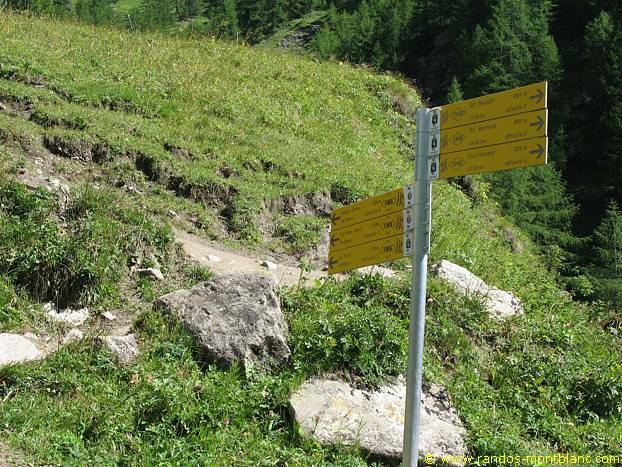 Follow the signs marked “TMB” in yellow, and proceed until you see the Grand Col Ferret. 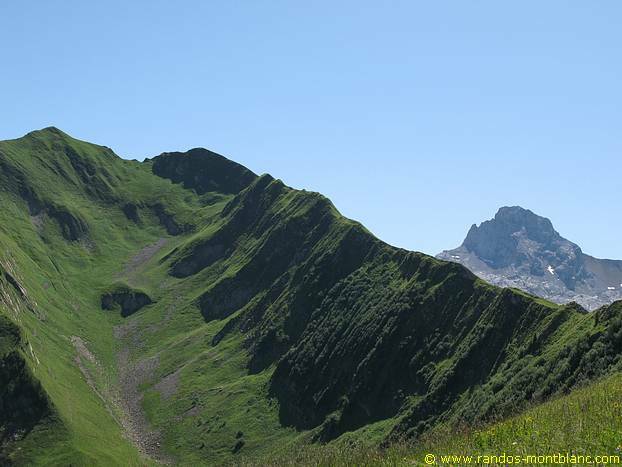 The path becomes flatter and slowly arrives at the Grand Col Ferret where you will find a viewpoint indicator as well as a border marker. 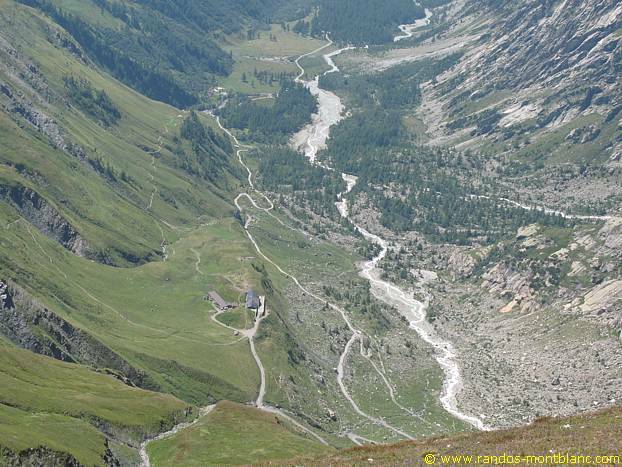 From the Grand Col Ferret, take the pathway that goes left towards Tête de Ferret. 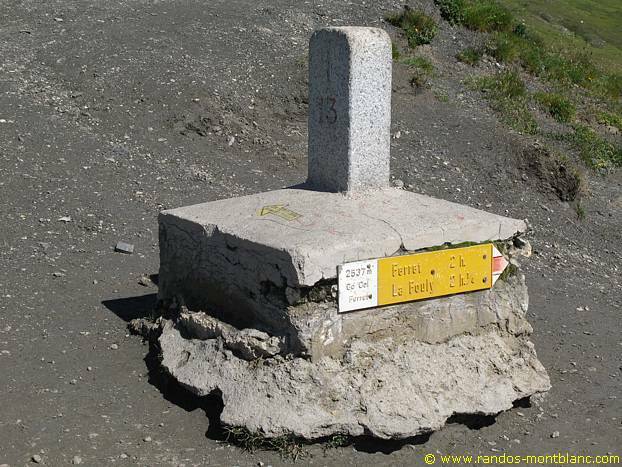 After a short descent, you reach a second boundary marker symbolizing the beginning of the ascent to the peak. 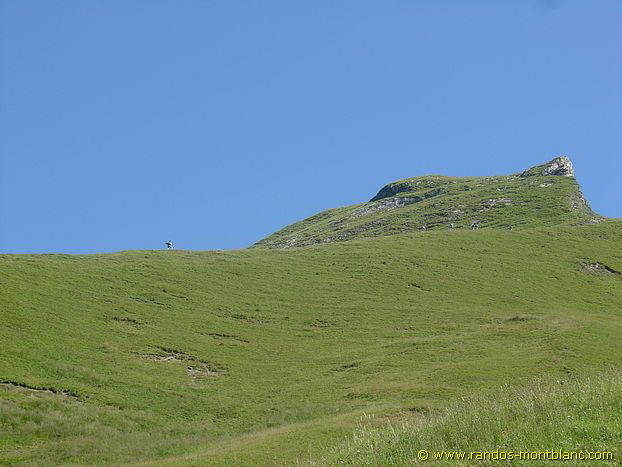 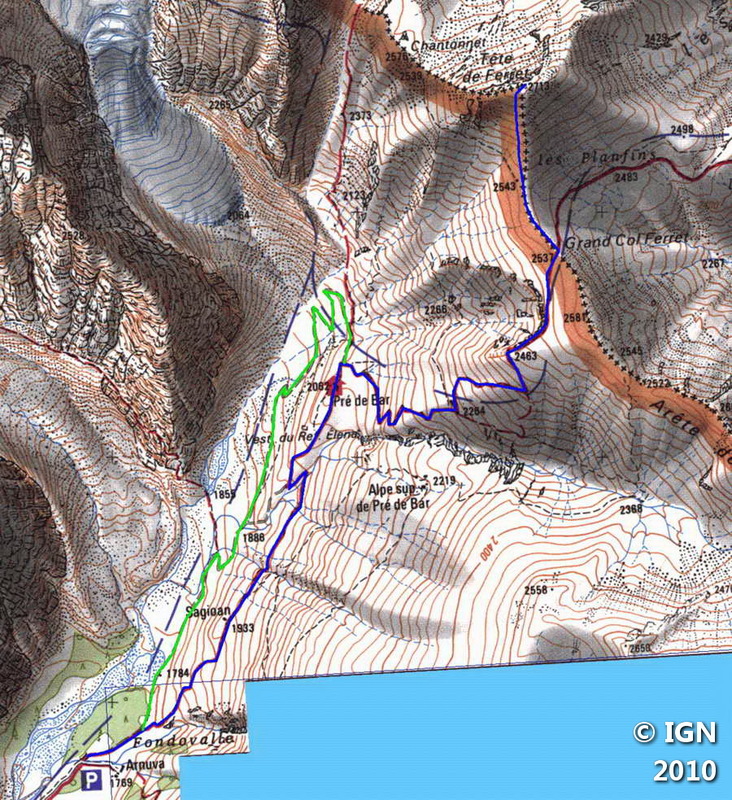 The well-marked trail ascends very steeply up the slope; The summit is won in about twenty minutes. 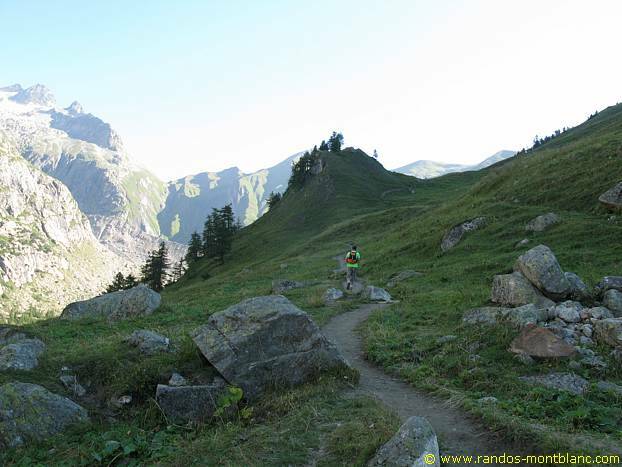 Take the same path as described above. 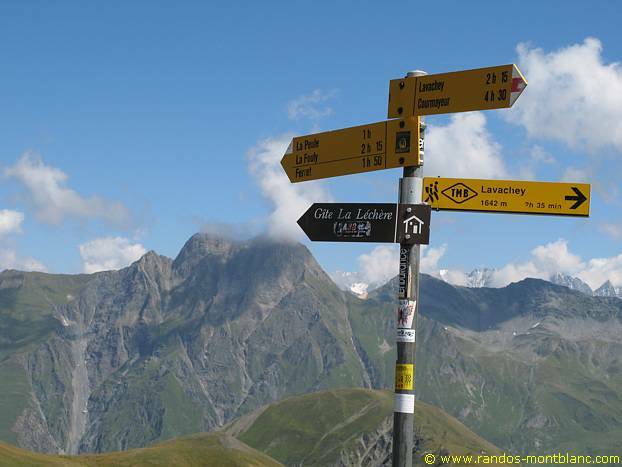 At the signposts at the Elena Refuge, take the road that leads to the left and runs along the Torrent du Glacier Pré-de-Bar, gently reaching the car park of the Arnuva.